Actually, I did fill in the fields properly. I entered my address. Then I logged in once I thought of trying my HP Passport (used for business software support access) credentials. And while the login succeeded, it wiped out what I had previously entered. It also failed to carry over my information that is saved in my HP Passport single-sign-on profile. 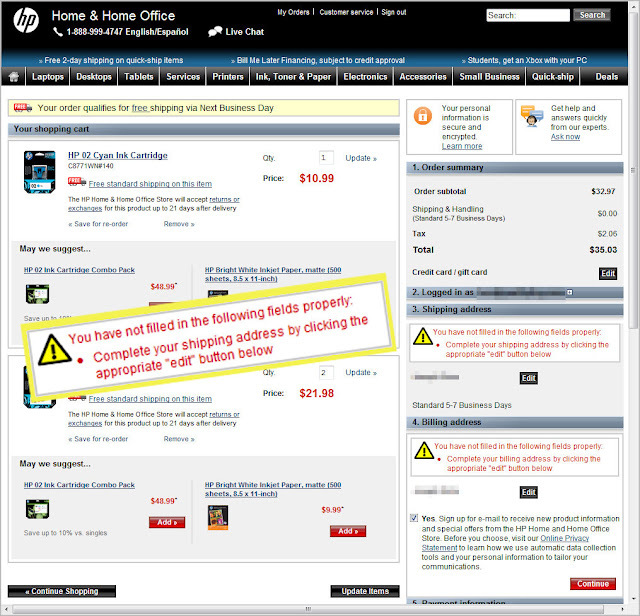 So now, the HP Home & Home Office Store tells me I did something wrong? I also notice that they have kindly rechecked the box requesting to be put on the HP marketing mailing list. 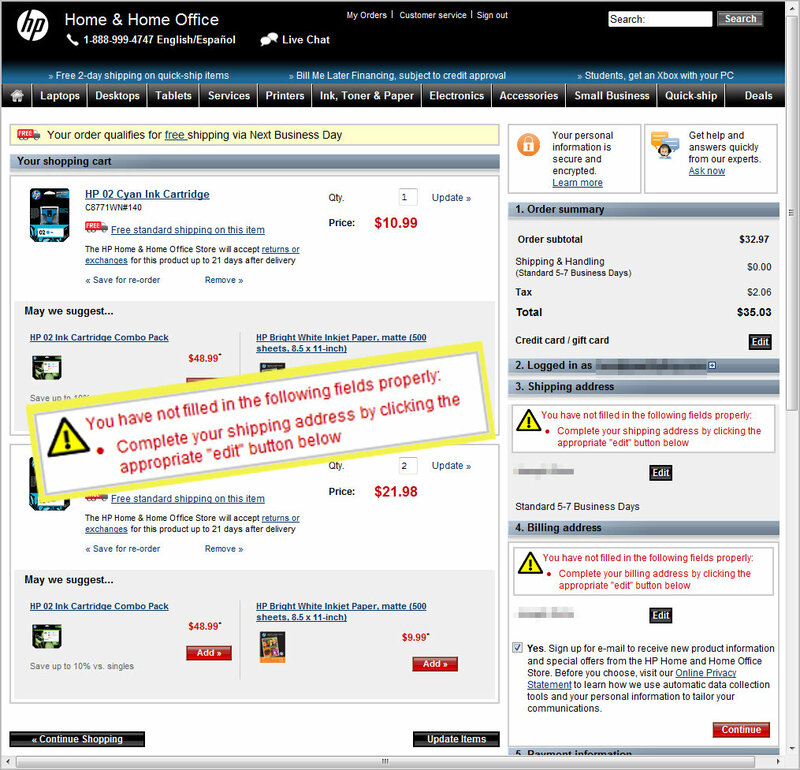 I had previously set that to OFF in both this checkout form and in my HP Passport profile.